This company has a great logo which consists of beautiful hand drawn typography of the company name. The logo has been used to excellent effect on their business card where it is shown off on the front of the card in a minimalist style with out any other confounding design elements. 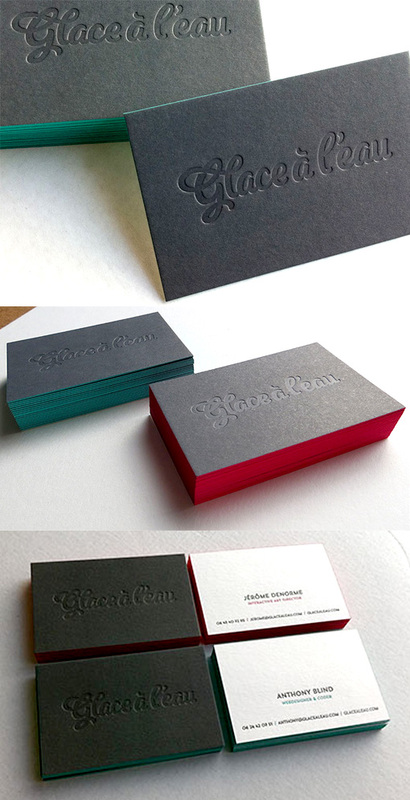 The logo has been printed with a blind press letterpress technique which presses the design into the paper, making the image stand out by texture alone. Bright edge painting in two colours is the final touch which brings the cards to life.